Home Stories Support for Parks and Trails Honors Ralph C. Wilson, Jr. In honor of the 100th anniversary of Ralph C. Wilson, Jr.’s birth, the Ralph C. Wilson, Jr. Foundation is investing $200 million in parks and trails in southeast Michigan and western New York. The funds will be split evenly, with $100 million dedicated to each region to help develop signature legacy parks, advance the vision of completed regional trail systems, and support the sustainability of these public spaces. In Detroit, the Ralph C. Wilson, Jr. Centennial Park will be at the site of West Riverfront Park, a 22-acre site along the Detroit River. 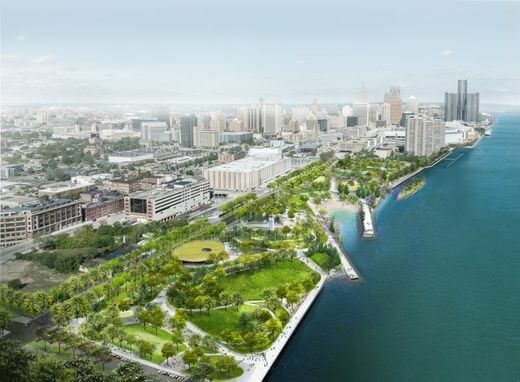 The new park is part of the Detroit RiverFront Conservancy’s overall plan to develop 5.5 miles of riverfront from the Ambassador Bridge on the west to Gabriel Richard Park, just east of the MacArthur Bridge to Belle Isle. As part of the announcement, $20 million in grants was provided to the Community Foundation, including $10 million to seed an endowment to help support the long-term sustainability of the Ralph C. Wilson, Jr. Centennial Park and $10 million for long-term sustainability for regional trails leading to the park. 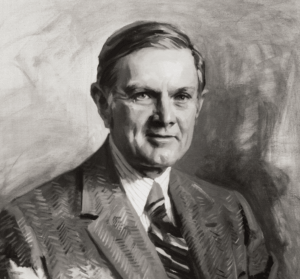 The late Ralph Wilson grew up in Detroit and was a longtime resident of Grosse Pointe Shores. He graduated from the University of Michigan Law School, served in the U.S. Navy in World War II, and was the founder and longtime owner of the Buffalo Bills.